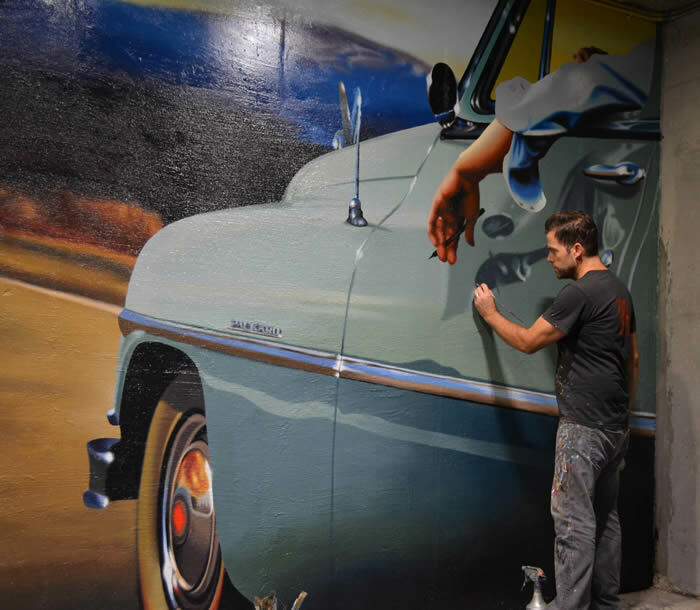 These three murals are hand painted, custom commission murals at Uptown Underground, a parking garage at West End and 21st Avenues in Nashville, TN. 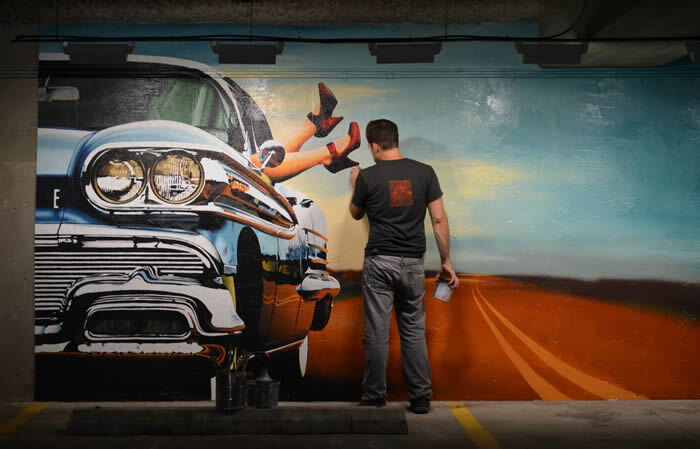 Uptown Crossing's (the building on top of the parking garage) owners contacted me for the custom commission of the murals. 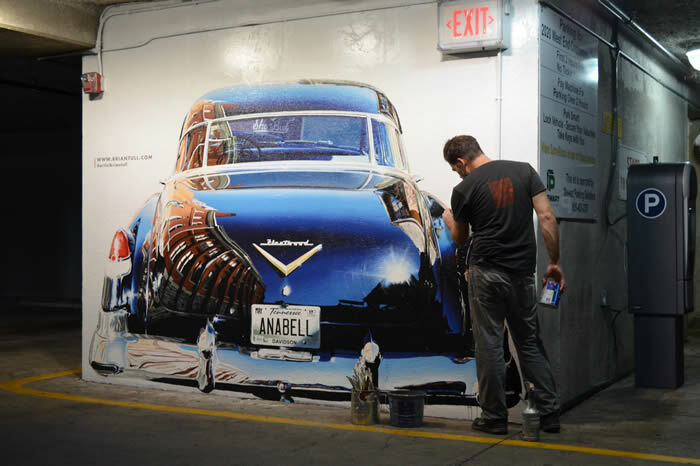 The commission of the murals are in tandem with Uptown Crossings' efforts to bring fine, public art to Nashville. Uptown Crossing accommodates popular restaurants like Five Guys, Jason's Deli, and Pizza Rev Taproom that already drives a lot of foot traffic from nearby Vanderbilt University and other businesses. Residents can also access Synovus, Sun Tan City, DGX, and T-Mobile for all their banking, mobile, and concession needs. 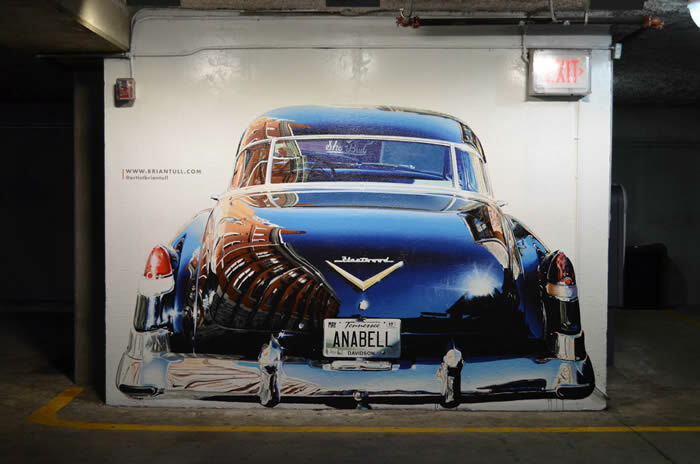 Two of the three large-scale murals are paintings that I've previously done for private collectors. 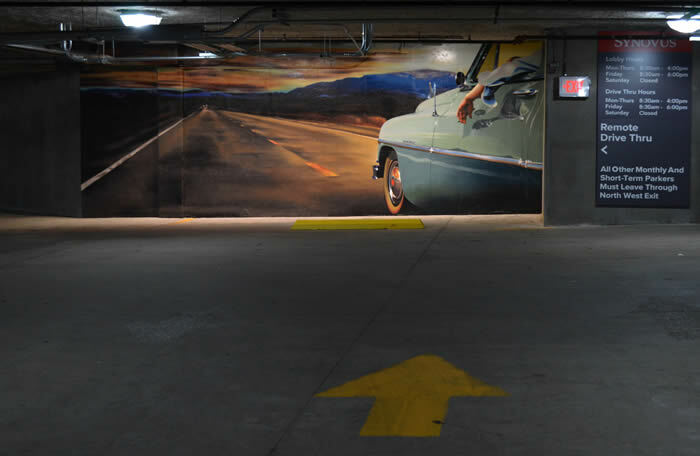 The composition of all three murals feature cars in different landscapes, appropriate for their final location in the free parking garage at Uptown Underground. The underlying tone from the artwork is reflective of the musical and artistic atmosphere that encompasses a large part of Nashville.